The description on these says they are "wolf slippers." I don't see anything lupine about them. They also call for "faux bear claws" which, according to the pattern, is something you can pick up at the craft store. I haven't been to a craft store in some time but I don't recall there being a fake animal parts section. 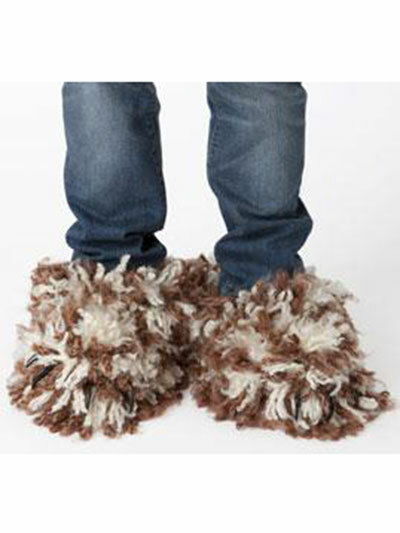 My biggest issue is that I just see these as an extension module for the Baby Mop Onesies. Now you can finally deep clean those baseboards!